Roller blinds are easy to operate and are the ultimate functional blind with more than 200 fabric selection in our Sydney showroom roller blind range, also a wide selection of plains, whites and neutral shades. The blinds fit within the frame of the window which keeps them in place when the window is open or closed. They’re easy to pull up and down and can be positioned at just the right level to allow the perfect amount of daylight in. A linked system – allows you to situate two or three blinds in close proximity, linking them so that they can be raised or lowered together using one chain drive. 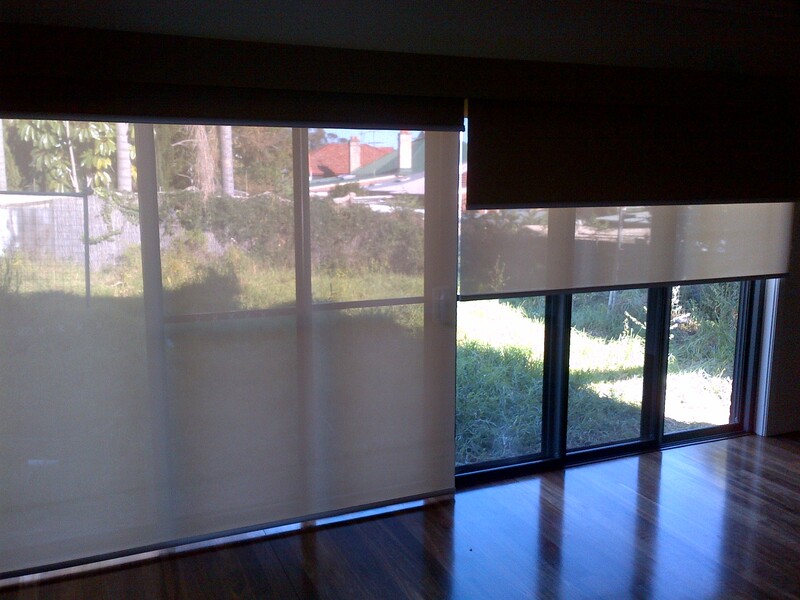 Linked roller blinds reduce light gaps to approximately 15-20mm. Ideally for large windows. A dual roller allows you to combine the functionality of two different fabrics in the one roller blind system, offering flexibility to adjust both light levels and night time privacy in the application. 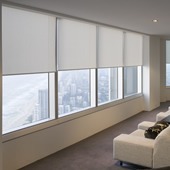 Motorised roller blinds combine the flexibility and convenience of automation for enhanced internal comfort and control. Enabling silent movement of the blind with a highly durable motor. A modern application of the automatic spring operated roller blind with a heavy duty spring mounted within the metal roller barrel and a high performance system to give easy control and years of trouble free operation with minimal maintenance. Wire guide system on roller blinds provide a straight drop fabric external blind with stainless steel guide wires and components. The stainless steel base rail travels down along the wire guides allowing the fabric to be stopped at any position without it flapping loosely in the breeze. A pelmet teamed with roller blinds can be an attractive and practical solution for a small “problem” window where curtains are unsuitable and a blind alone may seem insufficient. Adding the pelmet has the effect of creating a smarter more formal finish.